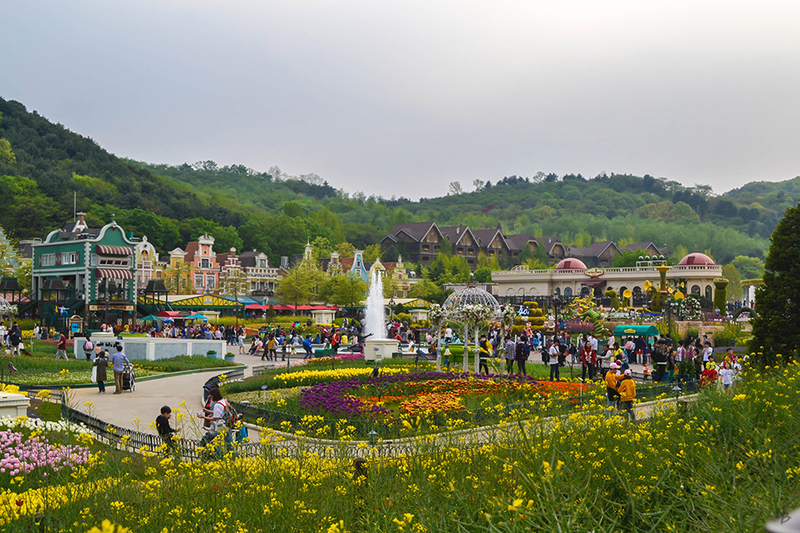 Our day two itinerary is dedicated to Everland theme park. 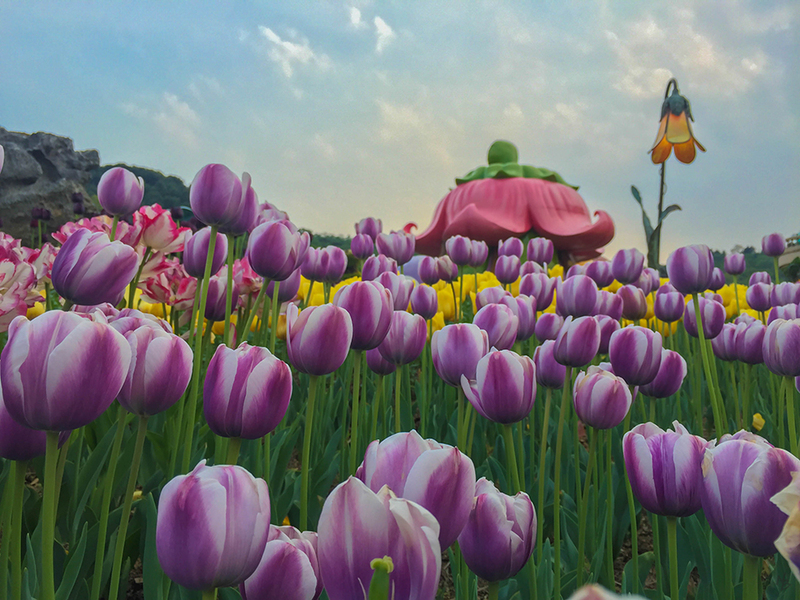 For those of you who may not have heard of it, it’s South Korea’s largest theme park owned by Samsung. 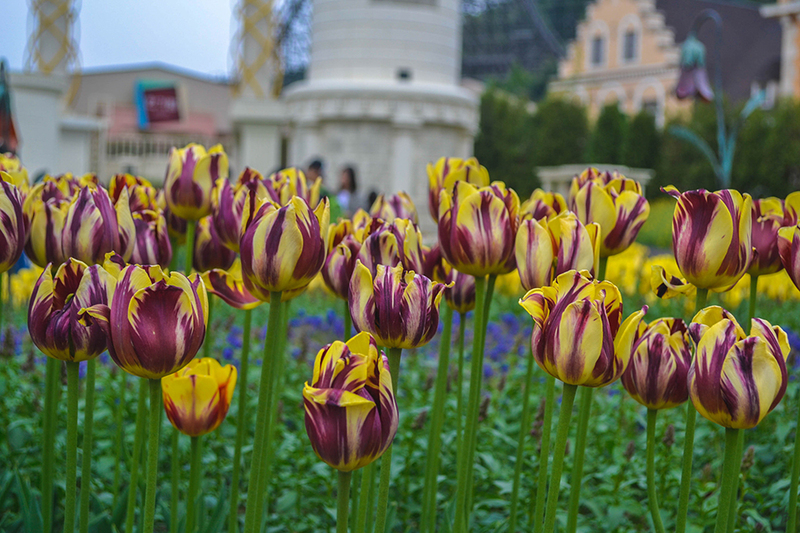 Other than Everland, there’s also Lotte World which was claimed to be the world’s largest indoor theme park. 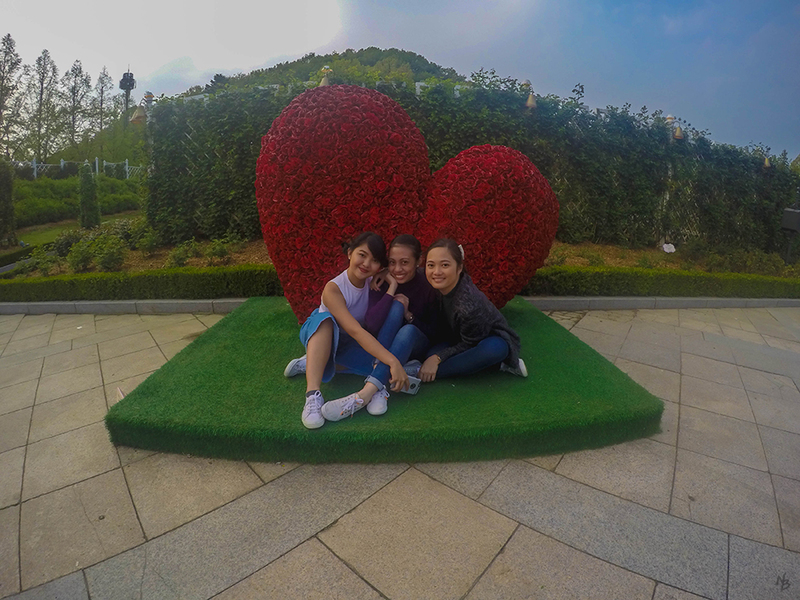 We opted to only visit Everland as Lotte World is more suitable for the little ones. Our journey started at Myeongdong Station. We went train-changing until we got off at the Bundang Lane at Giheung station. From there, you may walk to the Everline station and get off at Jeondae–the last station after about fourteen stops. Do note that after you alight at Jeondae, you’ll have to cross a long overhead bridge to get to the shuttle stop. Shuttle bus is for free and takes only about 10 minutes. 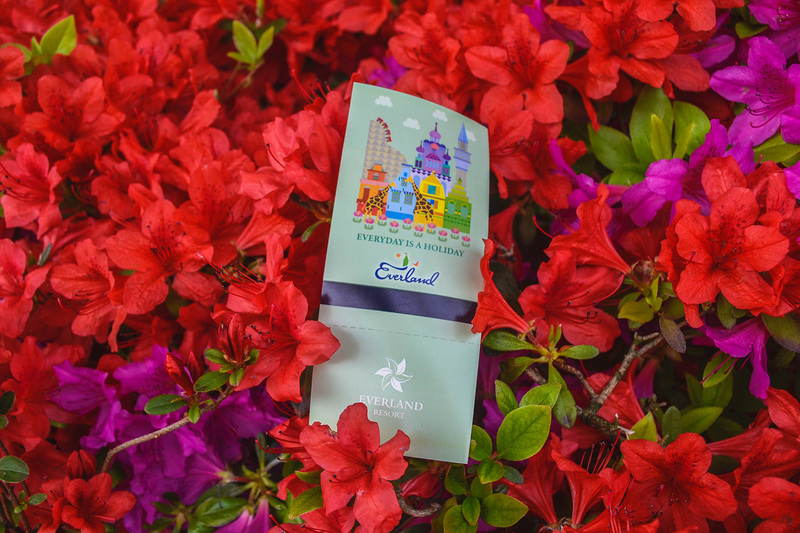 Everland, just like any other theme park, has the typical fun and exciting rides–roller coasters, water attractions, name it. 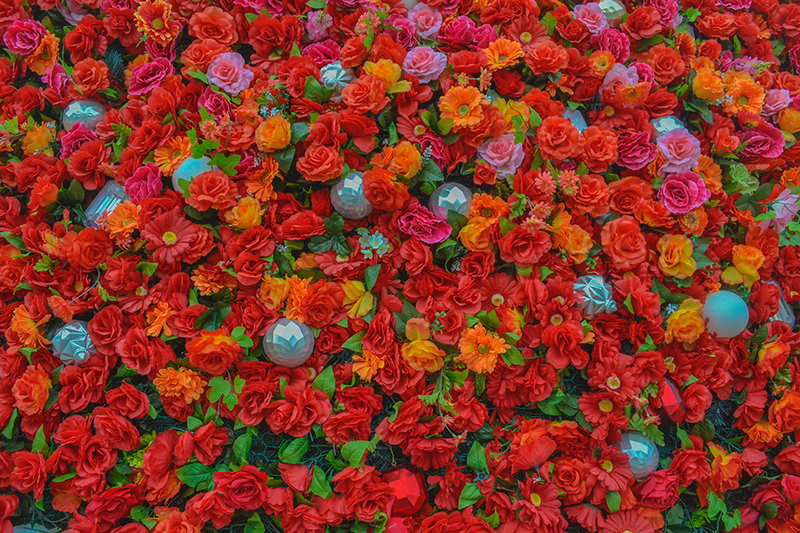 It’s divided into five zones, each with its own distinct themes: Zoo-topia, European Adventure, Global Fair, Magic Land, and American Adventure. Whatever your idea of fun is, there’s surely something in store for you. 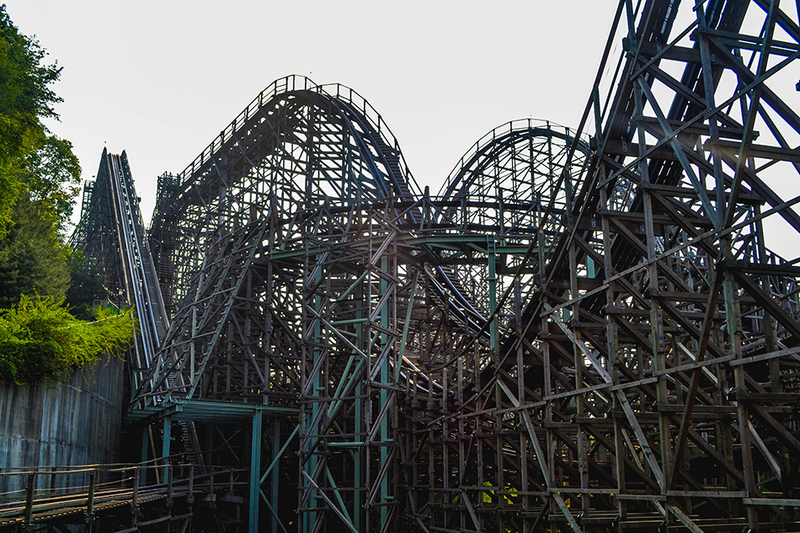 If you're like me who loves going for the most thrilling rides, then the notorious T-Express would be your favorite! 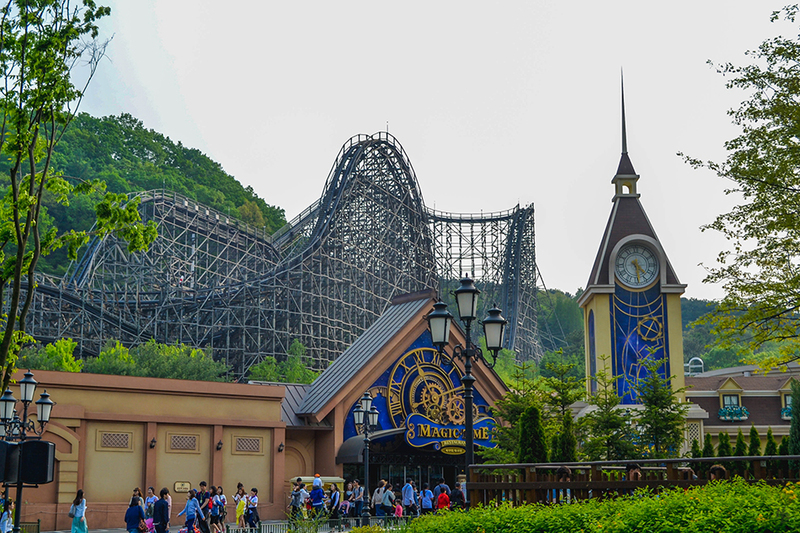 It’s located in the European Adventure zone and named as the world’s steepest wooden roller coaster. If you think you haven’t had enough of roller coasters yet, then you should definitely give this a shot. 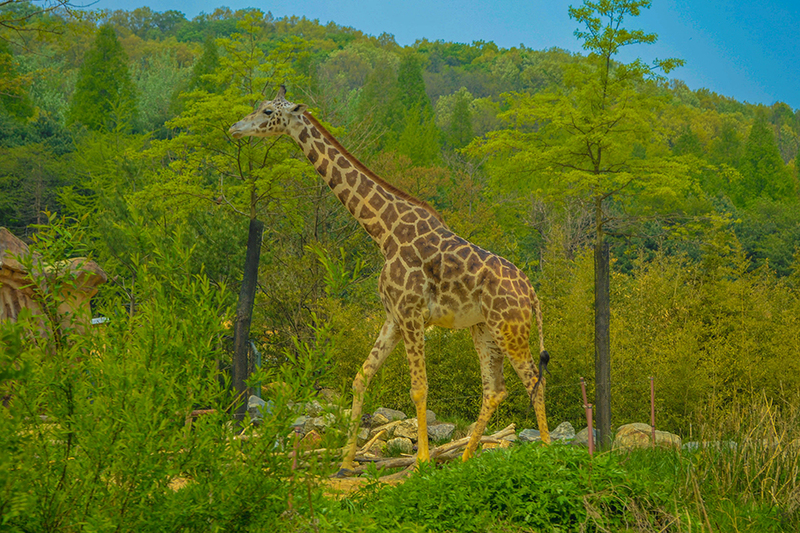 Our visit was a perfect timing as I witnessed two of my most favorite things: giraffes and tulips. 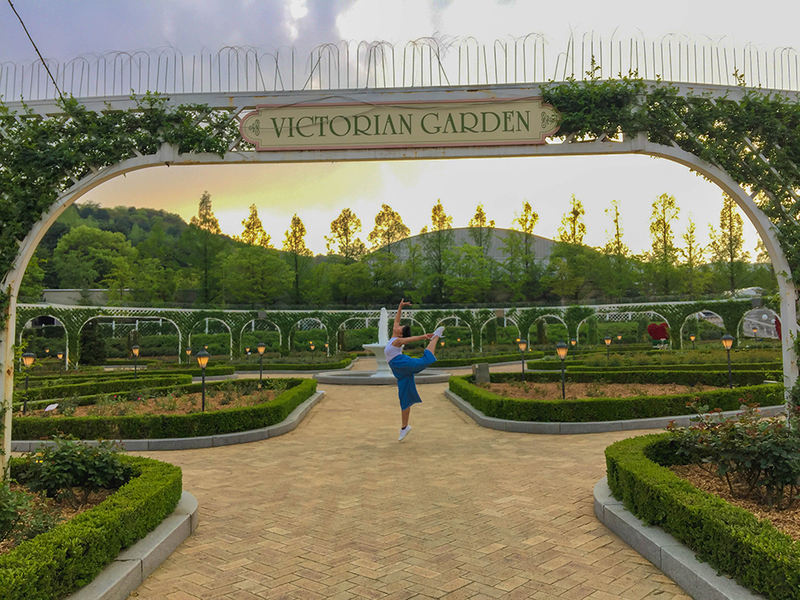 My heart can’t help but jump for joy besides being enthralled by the display of beautiful buildings, rides, and attractions. 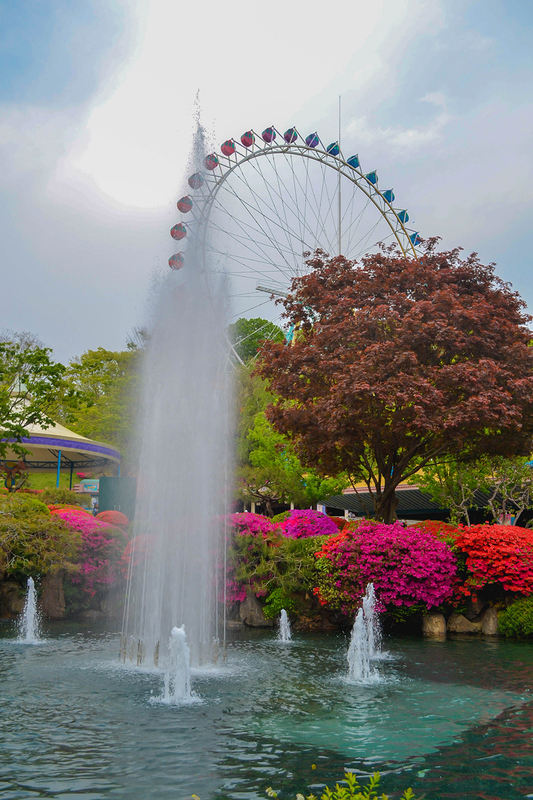 It was a beautiful Spring day in Everland. We had enough; we had everything we needed to achieve our ideal kind of fun: the temperature was at 20 degrees and the sun had its occasional peek from the clouds. 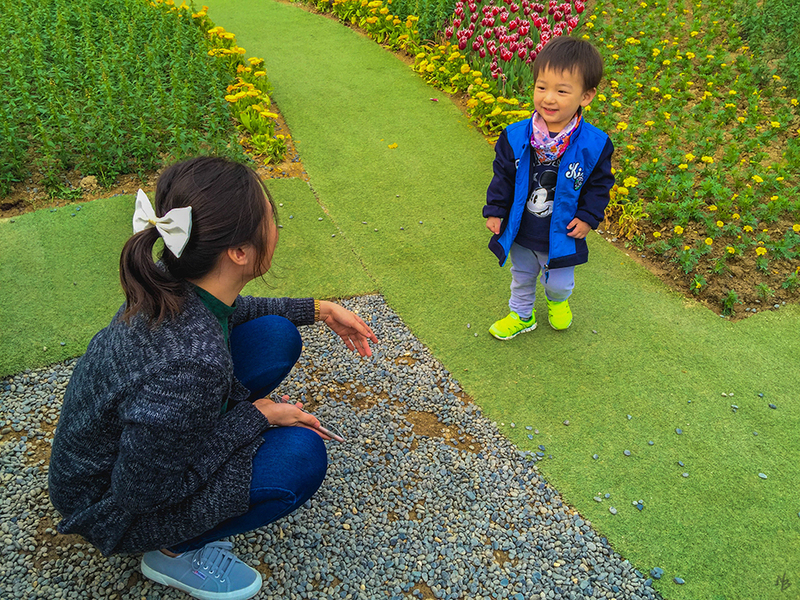 One day pass for adults is at KRW 52,000 per pax and KRW 41,000 for children. 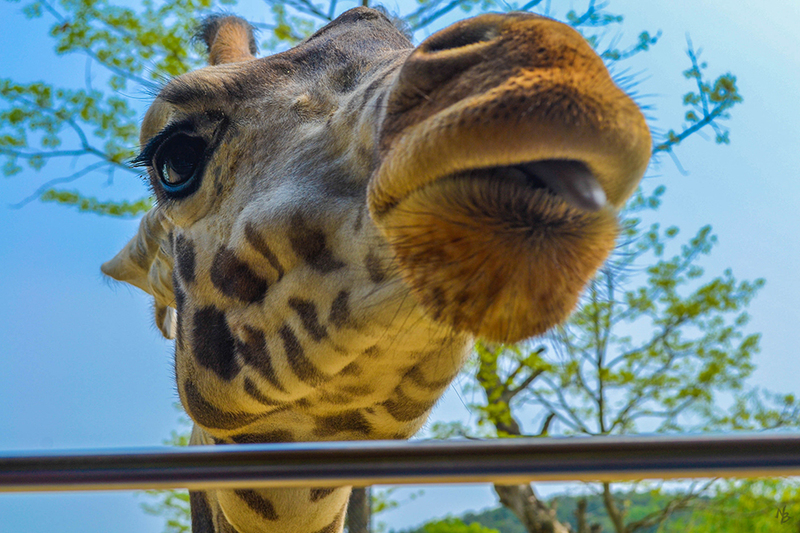 Extra charges still apply for coin-operated rides, rental, animal rides, and special exhibitions.